An important piece of information. Surprising both the sites have secured SSL from Verisign !!!! beware !! 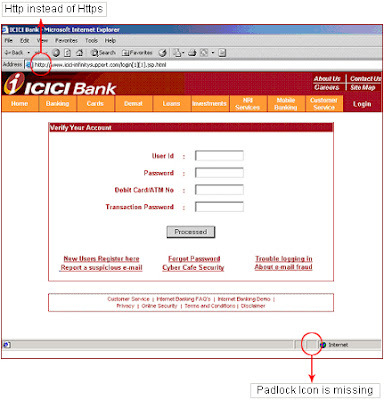 Dear All, Please be aware of the duplicate ICICI Bank site available in the internet. This is one of the worst phishing scam ever seen. 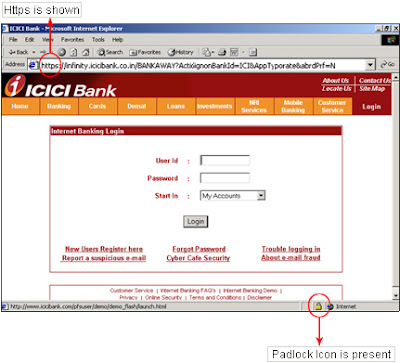 Here are the both the URLs, they are same, except there is a space (%20) at the end of the phishing URL.